National Theatre. © David Secombe 2010. 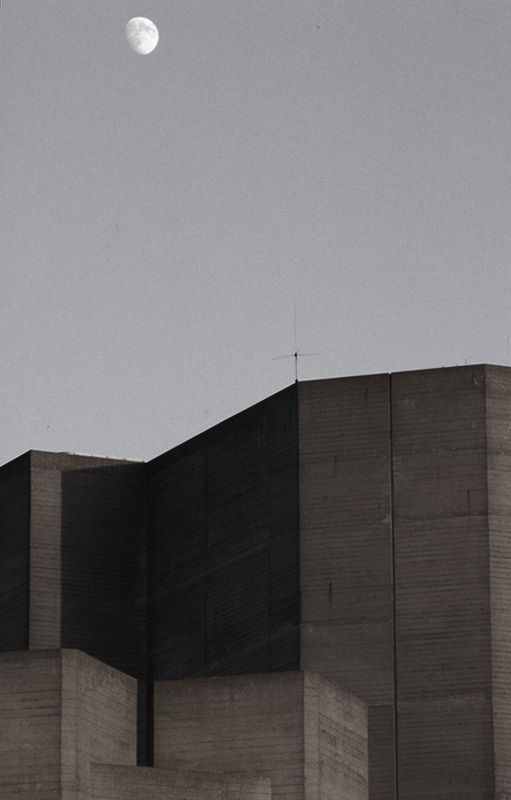 Brutalist architecture has never been popular in Britain. The garden, the milk float, the net curtain, all work to alienate the British sensibility from the modernist, and especially the Brutalist, vision. We don’t care how pure its aesthetic is. We like things Nice. Maybe the one exception is the good old South Bank. For some reason, despite decades of controversy, two murders, and several refits and remodellings, this complex of buildings is that genuine thing, beloved of the people. Unpromising as one may think it looks (though it is now dotted all over with bright structures, a giant yellow stairway, a turquoise Mexican place in shipping containers, pink things, green bits; they do certainly brighten it up). This is by accident as much as design. Maybe familiarity. 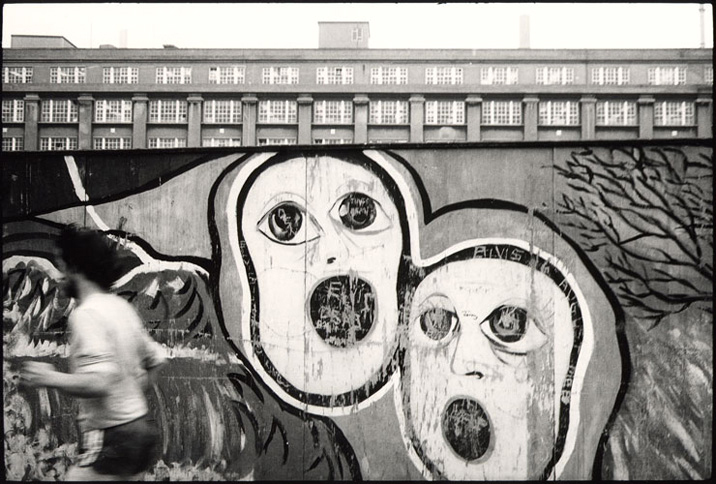 Maybe proximity to Tate Modern. Maybe the development of Gabriel’s Wharf and that whole stretch of the river into something a little more friendly. Partly the skateboarders, who just seem to exist alongside everything else, whose thwack thwacks have followed us along that path by the river since the seventies. Certainly the restaurants: people always want something to eat, and the current proposed redevelopment is essentially an opportunity to expand on this. At just that point, it stops being accident and becomes something more sinister. The space, rejuvenated as it is, has felt increasingly managed (that is, filled with things to be bought) for the past span of years. This is in keeping with a trend, as civic space becomes more and more tied to retail; we are forgetting how to occupy a city without buying, without being told what to look at. If this plan goes ahead, the stretch of river we love most will end up like the renovated Brunswick Centre, with added Thames. But the Brunswick doesn’t incorporate two of Britain’s most important cultural venues – or the Thames. There is a debate that Londoners (particularly; but also the whole country) need to have about what kind of shared space this complex is supposed to be – who is it for? what is it for? what do we value about it? what do we want it to be like? And, if nothing else, we appear now to be beginning to have that debate (this link is the most informative article we’ve seen on the subject). The South Bank is important on a personal level. Many of us – most of us, in London – have played out our lives with it as a backdrop. Much as it pains us to admit it, Richard Curtis got that much right; every new relationship seems to have a South Bank moment, and serendipity multiplies there. You meet people, you see things, you get some space to contemplate the sky, you feel the proximity of the physical river, suddenly London feels open and mysterious. But serendipity only happens if you’re left alone to find it. The existing Southbank Centre has more than enough cafés, about 2000% more than ten years ago, and we liked it even then. (Very fond memories of the unassuming old canteen, going back further.) It has been that rare thing: a public space where one can feel private. These shop-heavy proposals – necessitated by the desperate need for funding to maintain ever-growing levels of activity – will transform the area into yet another crowdfuelled, corporatised zone (art needs people; corporations need crowds). They will gut the Festival Hall embankment in the way that the Royal Opera House extension (also paid for by shiny shops) eviscerated Russell Street. No one can argue that the Royal Opera extension didn’t effectively kill the life (as distinguished from the shopping and eating) of the eastern end of Covent Garden Piazza; and you only have to look at what has been done to Spitalfields and Borough markets in the past few years to be afraid for the South Bank. Aside from which, everyone seems to have forgotten a principle that was voiced by the influential architect Cedric Price (who designed a radical overhaul for the South Bank in 1983, complete with giant ferris wheel). He said that cities and buildings should never be empty, but nor should they ever be full. For all the recently-added ‘lifestyle opportunities’, this stretch of embankment has been one of the few areas left in London that retains some of this balance; and it’s going. After the Tories won the 1951 election, they prioritised the destruction of the Festival of Britain site, for ideological reasons. The current government’s attitudes both to the arts and to public space, similarly ideological, have put institutions large and small under pressure to prove they have a right to exist (you earn the right by making money). The current proposed Southbank scheme is thus about to act out the contemporary version of this philistinism, and the fact that it is presented in the language of ‘inclusivity’ makes it more chilling. This idea of inclusivity is being underpinned by branding, some of it quite subtle, and the brand seems increasingly personality-driven. Artistic Director Jude Kelly is the driver of these developments, and indeed of the whole ongoing ‘revitalisation’ of the centre. She has made herself admirably available to defend the proposals, and her vision, but the danger is that the whole vision for the South Bank feels like a personal vision. If one wants an ice cream in the interval at the Festival Hall, one even buys a ‘Jude’s Ice Cream’! (The franchise is Minghella.) ‘Southbank Centre’, having already joined up the words South and Bank, has now dropped ‘The’ from its name – turning it from a place into a brand – Southbank Centre – rather as if it were a restaurant or shop. It begins to feel like a sort of Boden or Orla Kiely cultural space, where middle class people (because we are all middle class now) are safe to consume culture en masse along with our pizzas, noodles, and extra-large caramel lattes. But where’s the space for the genuine, austere surprise ? The one no one could plan for you? We know times have changed – we certainly do know it – but if this blog post is anything, it’s a plea for a deep breath and a deep look at what things really mean. And we’ve barely even mentioned the skateboarders. We’ll be posting the rest of the week with pictures and impressions – poems, not polemics – of the South Bank and the people who use it. Hoarding opposite National Theatre. © David Secombe 1982.